If you would like a higher resolution version of one of these maps, please contact the CRH. North Dakota Rural Community-Based Palliative Care Project Participating Communities - A map of participating communities for the North Dakota Rural Community-Based Palliative Care Project. North Dakota Frontier Counties - Thirty-six of fifty-three North Dakota Counties are designated as Frontier (less than 6 persons per square mile), based on 2016 estimates. North Dakota's County Classification - Displays North Dakota's counties by frontier, rural, and urban classification. North Dakota Dental Health Professional Shortage Areas - North Dakota county map displaying designated, low-income, and designated facility dental health professional shortage areas. North Dakota Dental Health Professional Shortage Areas with Scores - North Dakota county map displaying designated, low-income, and designated facility dental health professional shortage areas with scores. North Dakota Health Professional Shortage Areas - A map showing North Dakota's health professional shortage areas, rural hospitals, clinics, community health clinics, and rural health clinics. North Dakota Health Professional Shortage Areas: Rural Hospitals, Clinics, Community Health Clinics, and Rural Health Clinics - North Dakota primary care health professional shortage areas by county. North Dakota Medically Underserved Areas/Populations (MUAs/MUPs) - A map showing North Dakota's medically underserved areas (MUAs) and underserved population. North Dakota Mental Health Professional Shortage Areas - A map showing North Dakota mental health professional shortage areas (HPSAs) and mental health HPSA facilities by county. North Dakota Mental Health Professional Shortage Areas with Scores - North Dakota county map displaying mental health professional shortage areas (HPSAs) with scores and mental health HPSA facilities. 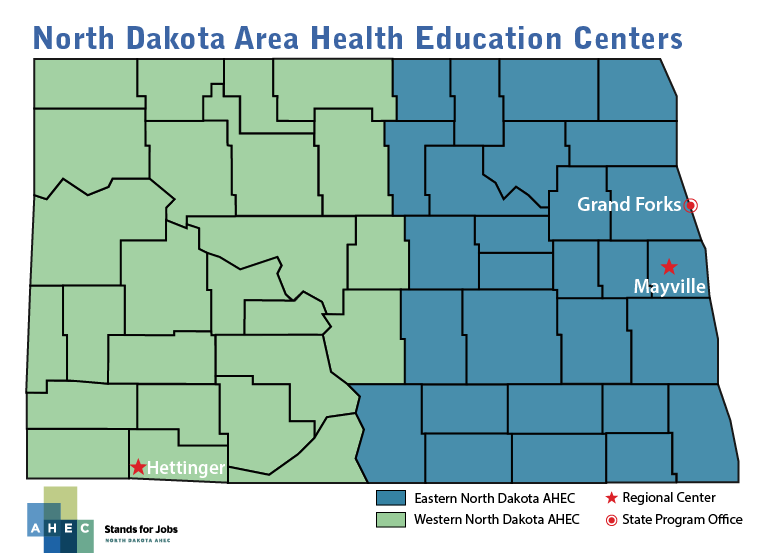 North Dakota Critical Access Hospitals & Referral Centers - A map of North Dakota critical access hospitals (CAHs) and referral centers by county. North Dakota Critical Access Hospitals, Rural Health Clinics, and Federally Qualified Health Centers, 2019 - A map showing North Dakota locations of all rural health clinics and hospitals by city and county. Native Service Locator - A nationwide interactive map that shows the location of Native elderly services. The Rural Health Information Hub produces maps on topics related to rural healthcare provision and access, as well as the health of rural populations. These maps can be used to help others understand rural health issues. Maps can be included in presentations, reports, grants, articles, and other formats to demonstrate rural health needs, disparities, and infrastructure.